Here are the basic models. 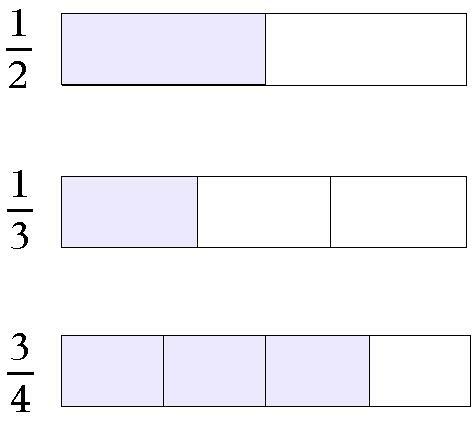 You can also check out the other variations of the fractions model . 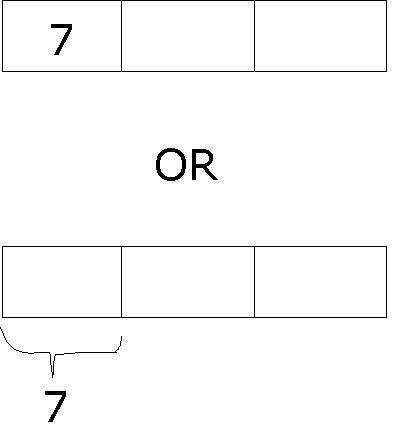 To show half, draw 2 equal boxes to represent the total number of equal parts and shade 1 part out of the 2 equal parts. Similarly, to show one-third, draw 3 equal boxes to represent the total number of equal parts and shade 1 part out of the 3 equal parts. To show three-quarters, draw 4 equal boxes to represent the total number of equal parts and shade 3 parts out of the 4 equal parts. We can also assign a numerical value to a fractional part/fractional parts of the model. E.g. One-third of a number is 7. E.g. 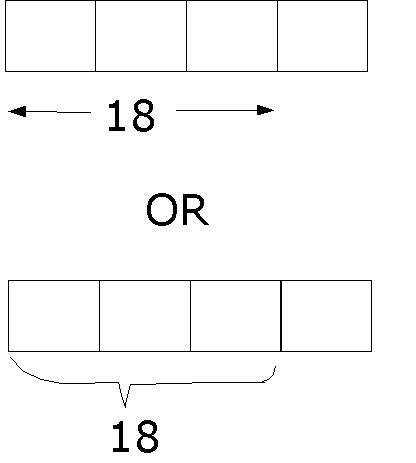 Three-quarter of a number is 18.